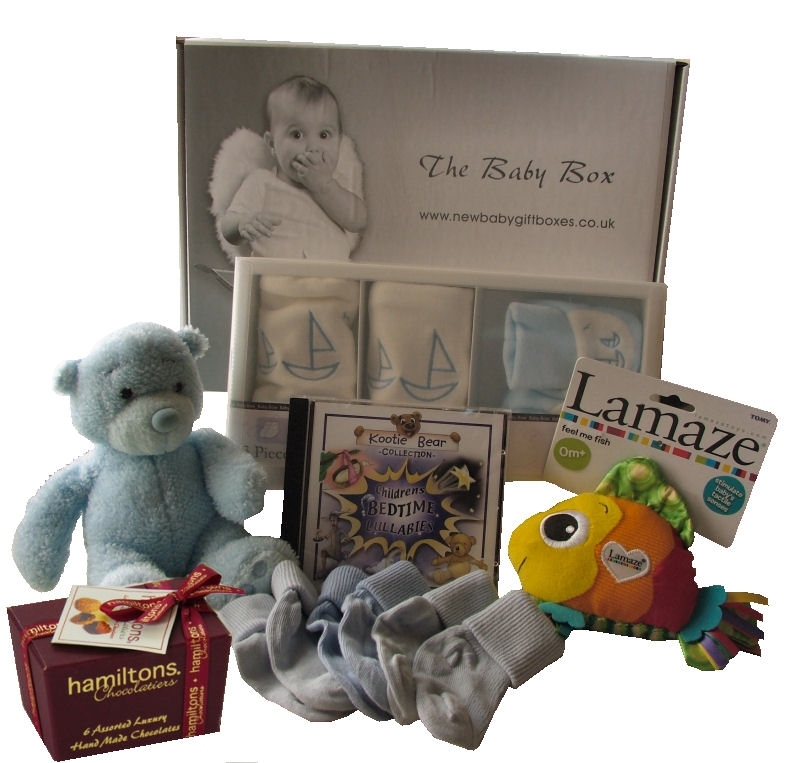 This newborn baby gift box contains the essentials to get the new mother started. 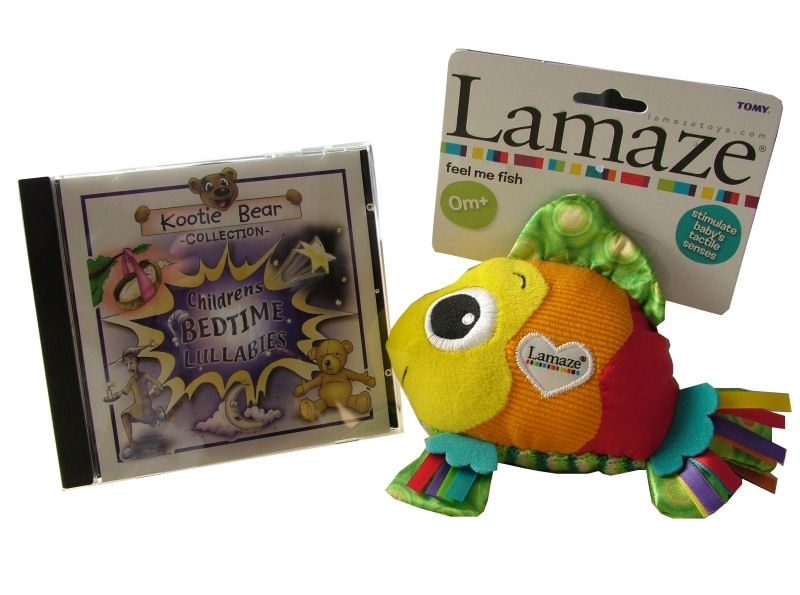 It contains; a beautiful 8" super soft bear, a baby gift set consisting of a super soft bib, booties, and a hat, three pairs of tiny socks, a fantastic "Feel Me Fish" by Lamaze, some gorgeous hand made luxury chocolates and a lullaby cd. 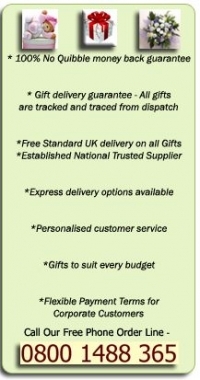 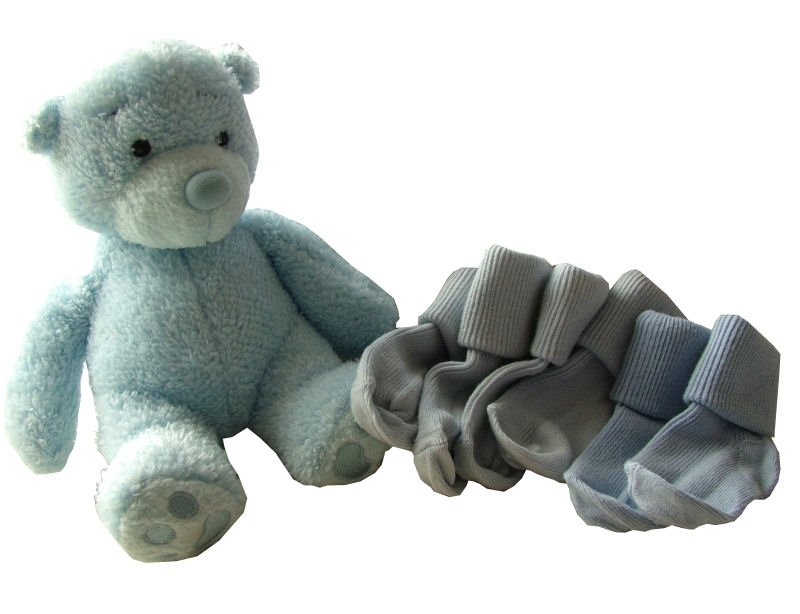 This new baby gift is delivered free of charge in the UK from our online shop. 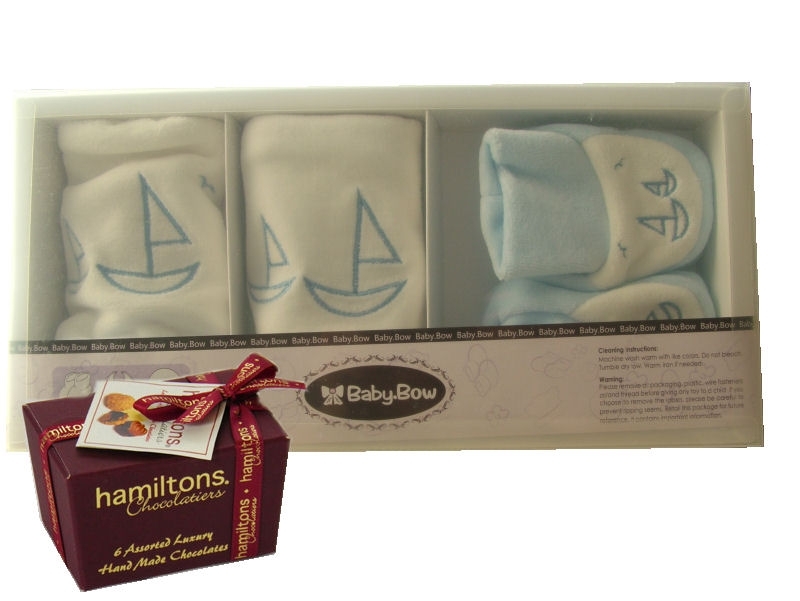 This baby gift box is also available as a twins gift, simply visit that section on our website.